Bridget Eileen: Rogue Burlesque's Latest Show "That's What She Said!" Fri and Sat, May 13 & 14 - I'll be at the door! Hey y'all! 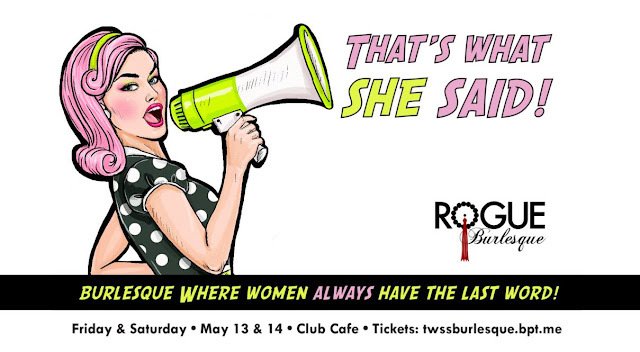 Get your much needed dose of hilarious Boston-area Burlesque this Friday and Saturday at Club Cafe for Rogue Burlesque's "That's What She Said." Come along on Friday, and I will see you at the door, where I'm volunteering for the show.